I am Selene Pozzer, an Italian Wedding Photographer. I am based near Venice and I work as a wedding photographer all around Italy and all around the world. My goal is to capture real feelings, happiness, and emotions, and tell the story of your Love through my images. My photos show real love because I want you to fall in love with each other watching them, over and over again. 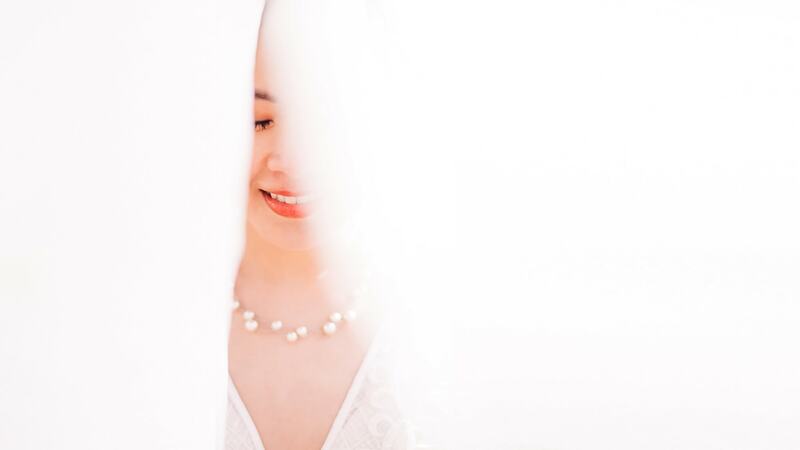 I am a Wedding Photographer in Venice, in Italy, around the world, and I tell Love Stories. Being a Wedding Photographer in Venice, in Italy, and around the world is my job and my passion. During the past few years, I’ve shot weddings that changed my way of looking at the world: different countries, different nationalities, different cultures and types of weddings. And I totally loved that! I believe in Love, and love is all – my photography is inclusive and I love working with couples of any culture, gender, ethnicity, and spirituality. Class, luxury and beauty meet in this lovely Elopement Wedding in Venice, in the stunning background of the Aman Palace. A Catholic bride, a Jewish groom, a romantic inter-religious ceremony in the glorious nature of the South of France. Romance, beauty, family: a wonderful Boho Wedding in the amazing scenery of Newport, Rhode Island. A beautiful young couple, a love story through Italy and the United States for an intimate, passionate, 30s-style Elopement in Italy. From Dubai with Love – lots of friends and lots of fun for an (un)traditional Persian-Lebanese Wedding in Lake Como. The vibe of the city on a cloudy day – all the colors we needed were Clara and Grant’s love, and their real New Yorker wedding. Who says weddings must be large events? Here’s all the beauty of an intimate wedding, in the unforgettable shores of Lake Como. Husband and Husband – a stunning love story in a breathtaking winter scenario. Another great side of my business is shooting couple portrait – wedding proposals, engagement sessions, honeymoons, anniversaries and more. I’ve shot such sessions all around the world – I want to narrate the couple’s love story, their emotions, their passion through my images. And doing it in a fun, exciting way! The incredible romance of a rainy Venice, the perfect set for the most breath-taking proposal. Sand, waves, wind – here’s a messy, crazy romantic, tropical Love Story. From Brooklyn to Manhattan, because all you need is Love – and New York City, of course. She was one of the best choices we made for our wedding! Her photos really tell the story of our day. It was magical - She captures all of the moments and angles that no one else does. I would pay again any sum to have her again at our wedding, she was undoubtedly the best investment we made! When I received the pictures I was completely blown away! They are beyond anything I have ever dreamed of.